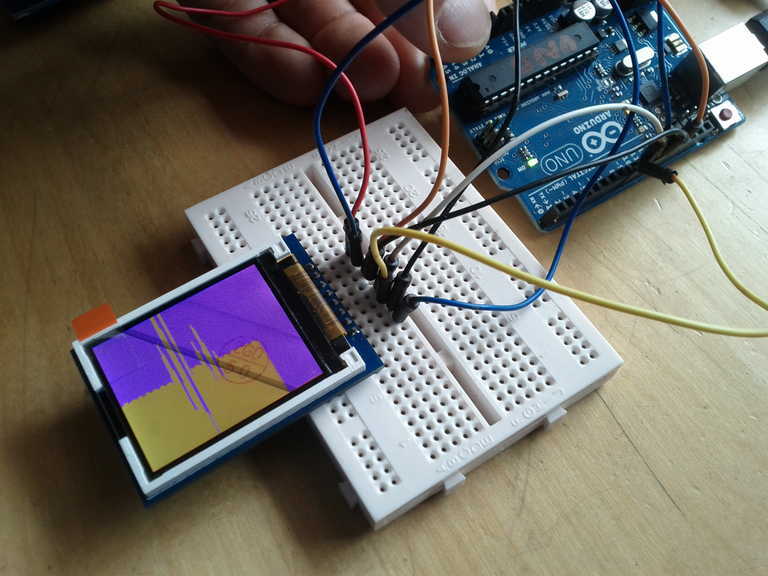 This is a post about getting a graphical full colour LCD screen running with an Arduino. The sample screen was the ITDB02 1.8″SP unit from iTead Studios. It is based upon the ST7735 control IC which uses serial data for the display. // Declare an instance of the class UTFT myGLCD(LPH9135,6,5,2,3,4); // Remember to change the model parameter to suit your display module! UTFT myGLCD(LPH9135,6,5,2,3,4); // Remember to change the model parameter to suit your display module! I tried to wire this up but did not really know what was meant by int SER=0. Also, on my board there is no WR pin. I presume this is a write line? Documentation on this would have helped. Edit: Or I could just read the manual where this info is available…. I am sure that this library would work OK once connected and initialised correctly, but I could not get it to work. I also found some of the examples too large to fit onto my Arduino AVR. I searched for the ST7735 LCD controller library and found out that there is a TFT library included with the Aruindo IDE from version 1.0.5. This was slightly hidden as it dropped off the ‘Examples’ menu on my computer screen, hence I didn’t know it was included. 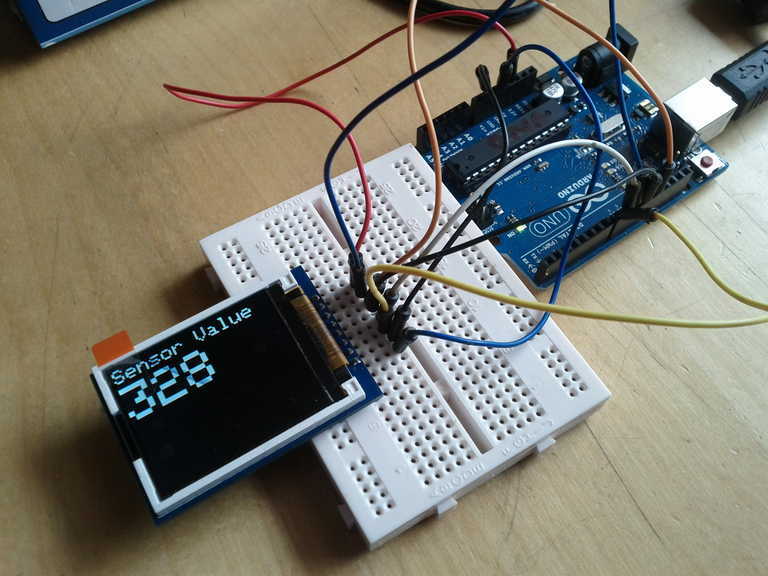 I wired up the TFT display as shown here and uploaded the TFTGraph example. It worked! I had a streamed graph of the anaolgue data on pin AN0. This shows the graph example. Data is just random value on the AN0 pin. 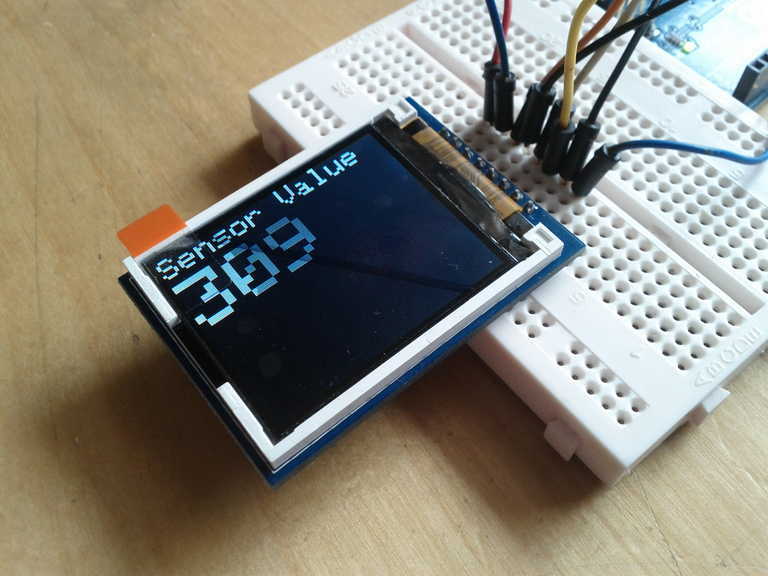 This displays a sensor reading in old-school text type.